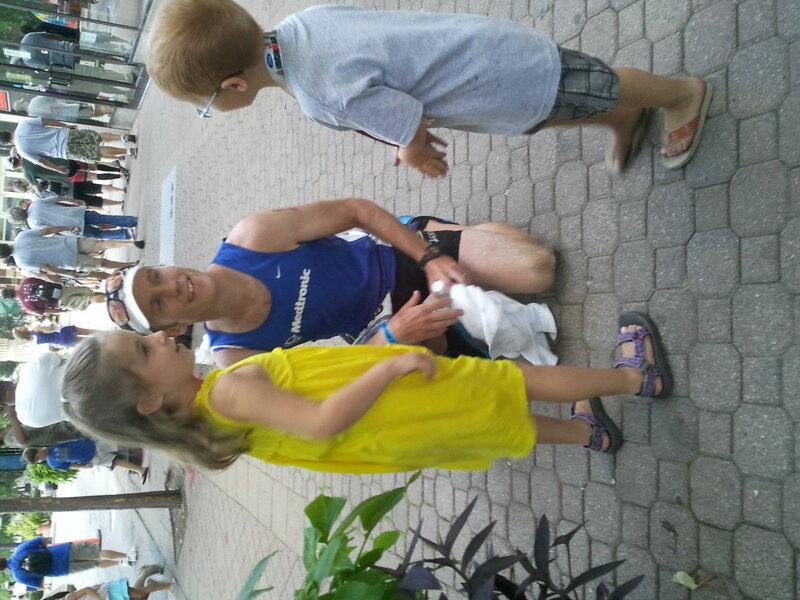 Son-in-law Chris has done more than one Ironman, but this weekend was the first I’d ever seen. Correction: first I’d ever EXPERIENCED. 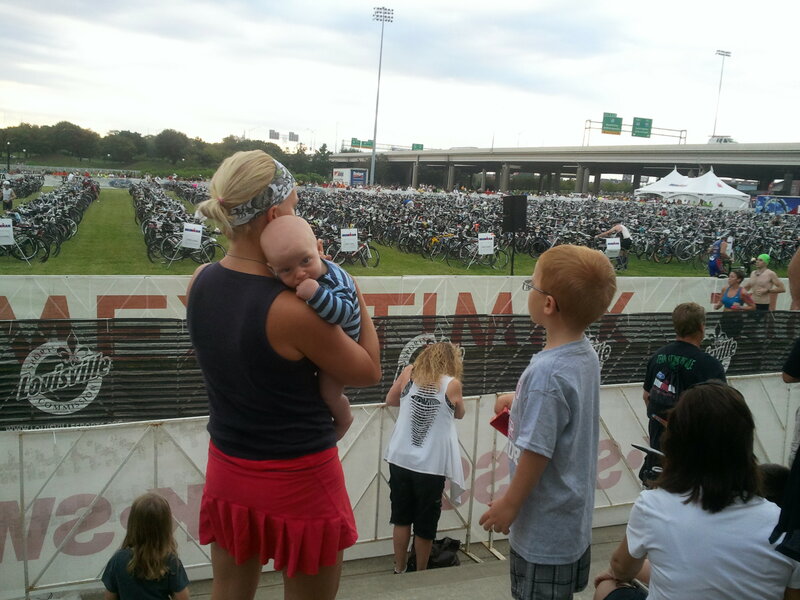 If I’ve learned anything these days in Louisville, it’s that there are no Bystanders for an Ironman. Teresa’s pedometer read 13.65 miles at the end of the day, and she was not in the race! If I’d worn a pedometer, it would have been less than half that: she made several runs across the bike and running courses to get views of Chris, while I gallantly stayed with the children. In the shade. With beverages and food. Terms like splits and staging ,aero (helmet/bars), transition, and nourishment – all mean something different to these athletes than they do to me. All are part of the vocabulary employed and enjoyed by this Fraternity-Sorority, this Band of Brothers-Sisters. These rare athletes, most of them with amateur – not professional – status, go on training runs at 4, so they can be behind their desks by 8, or for training swims at 5, so they can get kids off to school by 8. What’s more, they don’t do it for ten weeks – the length my annual re-dedication to the gym – but for ten months. 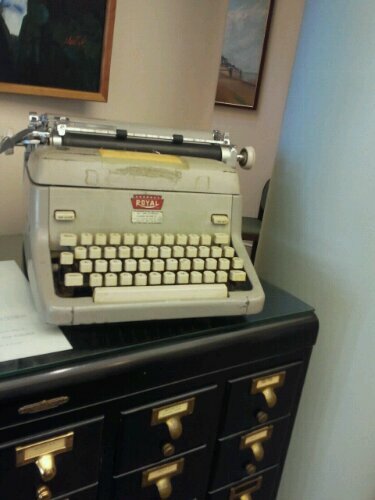 It involves the man whose typewriter I saw (and touched!) this weekend while I was in Louisville. I visited Bellarmine University’s Merton Center. I’ll return to Louisville after Thanksgiving for a stay at Thomas Merton’s abbey – Gethsemani.